OKEMOS, Mich.—The Michigan Association of Recreation Vehicles and Campgrounds (MARVAC) experienced a tremendous 2018 with increases in RV sales, RV and camping show attendance and membership recruitment. U.S. wholesale RV shipments are currently at 378,718 units for the year; Michigan RV sales were solid with 16,501 sold in August 2018, the most recent month tally available, reported MARVAC. Sales of towables in Michigan were up 6.6 percent over August 2017 with motorized sales being slightly down at 1,337 sold. 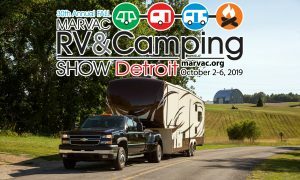 2018 also saw record-breaking attendance at the six RV and camping shows MARVAC produces across Michigan. “Nearly 48,000 people attended a MARVAC RV and camping show this past year. If the weather had been more cooperative in February, we’d be toping 50,000,” said Darren Ing, director of MARVAC, referencing an ice and snowstorm which curtailed attendance to the 52nd Annual Detroit RV & Camping Show in February 2018. MARVAC also enjoyed a seven percent growth in membership, including an uptick in the number of campground and suppliers joining the organization, according to Ing. Celebrating the passing of the “sales tax on the difference” policy that MARVAC had been advocating on behalf of Michigan RV consumers and RV dealers. Partnering with one of the most popular and successful tourism campaigns in recent history—Pure Michigan— on the Long Live Summer campaign. MARVAC was one of the top 20 most-clicked links during the summer campaign with a 94 percent click-through-rate garnering more than 6,500 clicks to the MARVAC page. Collaborating with the hosts of the popular PBS show “Under the Radar Michigan” on presentations at two Detroit RV & Camping Shows. 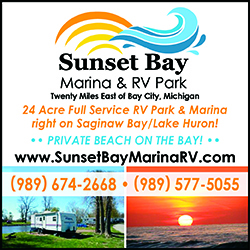 The Michigan Association of Recreation Vehicles and Campgrounds (MARVAC) is a statewide, nonprofit organization dedicated to encouraging growth in the recreation vehicle and private campground industries while contributing to the quality of Michigan tourism. For more information, visit MARVAC’s website, www.michiganrvandcampgrounds.org. MARVAC, 2222 Association Drive, Okemos, Mich. 48864-5978; 517.349.8881.